A systematic new attack against Muslims of Thandwe in Arakan State began on Saturday. During last few hours the Burmese Rohingya Organisation UK (BROUK) has received reports that many houses were burnt down in Dabru Shine village and Pauktaw village of Thandwe Township in Arakan State. According to our reliable source, some women and children were killed by Rakhine extremist groups. The Rakhine groups have targeted another 3 Muslim villages and are approaching those villages currently. Government security forces are not taking action instead encouraging those who are participating in attacks against Muslims in those villages. 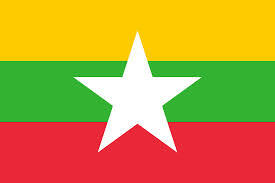 The Muslims in Thandwe are not safe and have become helpless in their own country. Instead of praising President Thein Sein, David Cameron, Barack Obama and Ban Ki-Moon should provide multi-cultural forces to stop anti-Muslim violence in Burma. The international community has to stop closer relations and the relaxation of international pressure on the government of Burma should be put on hold until the government takes action to end the violence. 1. To pressure President Thein Sein’s government to stop immediately attacks against Muslims in Thandwe and stop 969 anti-Muslim violence groups in Burma. 2. To send UN mandated International Observers to Arakan State, which may discourage further attacks and can provide the international community with reliable information. 3. To support the establishment of a UN Commission of Inquiry into what has taken place in Arakan State since June 2012. A UN Inquiry is the only way the true facts can be established, those responsible can be held to account, and recommendations can be made to prevent further violence. 4. The British government and others must allocate significant resources to fund multi-faith initiatives and other initiatives to counter communal violence. 5. The RNDP, including its MPs, should not be eligible to participate in internationally funded initiatives as long as they are involved in Organising attacks against Muslims.